Chalk up your fingers, Denverites. 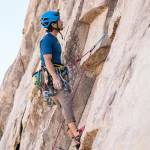 The outdoor apparel and equipment brand plans to build its first climbing wall in the Montbello neighborhood near downtown. One in four people lives in poverty within Montbello, the neighborhood where The North Face will build its first climbing wall. With the project, the company hopes to engage local kids and everyone else in the sport of rock climbing. 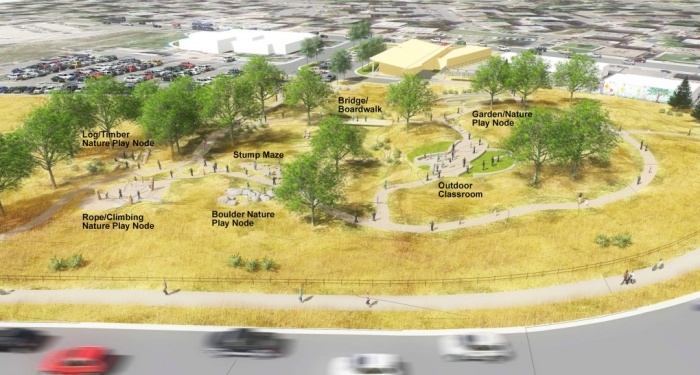 The North Face announced it will build the climbing structure in the soon-to-open Montbello Open Space park. The project aims to inspire outdoor recreation by youth and others in communities, with a focus on underserved areas. The wall is the first to be built under the brand’s $1 million pledge to the Trust for Public Land. The brand made the announcement at the opening of the Outdoor Retailer + Snow Show in Denver this week. Construction of the Montbello Open Space park began in 2016. It is a $6 million collaboration between the Trust for Public Lands, the city of Denver, and Environmental Learning for Kids (ELK), a group that helps low-income and city youth learn about the outdoors. As noted above, of the 35,000 people in Montbello, about 1 in 4 live in poverty. Sixty percent are Latino. Sitting just north of the I-70 freeway, heavy traffic and industry dominate the neighborhood. The new park aims to give the community 5 acres of green space to play, right in their own backyard. It will have trails, trees, an outdoor classroom, and play areas that integrate nature. The North Face will provide the wall as part of its “Walls Are Meant for Climbing” campaign. 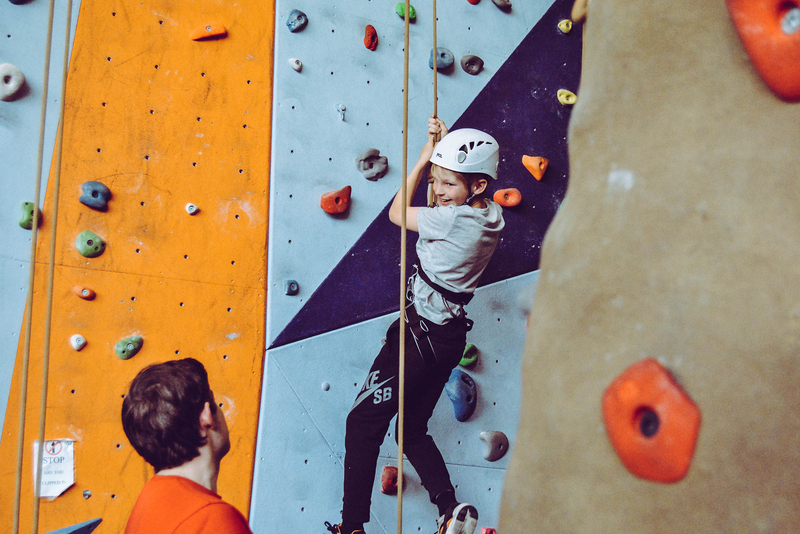 The brand hopes to celebrate community and make the sport of climbing more accessible and inclusive. The climbing wall will be outdoors in the park. The North Face is meeting with local youth to gather input. As one part of the planning process, athletes Matty Hong, Maureen Beck, and Daniel Woods will brainstorm with kids and others in the community on prototype designs.